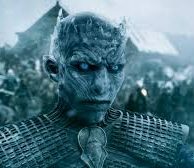 A survey of 400 UK adults found that 42 per cent believe Game of Thrones to be the best show of the 21st century so far (19 per cent had thought about it more than Brexit in the week prior to taking the survey). Plot (58 per cent), acting (51 per cent), scriptwriting (49 per cent) and casting (48 per cent) were ranked as the biggest drivers of its success. Jon Snow is the fans’ favourite to win the throne, according to 42 per cent of Game of Thrones viewers. At 20 per cent, Daenerys Targaryen came in a distant second, with the Night King coming in third at 19 per cent followed by Queen Cersei in fourth place at 7 per cent. Jon Snow was also Britain’s favourite character to negotiate Brexit, getting 41 per cent of the votes, followed by Tyrion Lannister at 22 per cent.